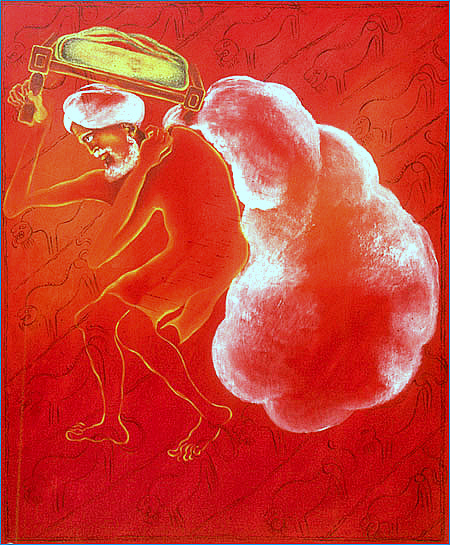 This digital image of the painting was presented to the 1947 Partition Archive by Delhi based artist Arpana Caur when we interviewed her mother, Ajit Cour, on her Partition experience. Let the interviews take you back in time to a Punjab, Sindh, Rajasthan, Bengal or Kashmir when opulent Maharajas roamed their states in Rolls Royce wagons, when peacocks were a common site, when children looked forward to seeing dancing bears and climbing mango trees, when shepards were free to roam from Baghdad to Delhi. Video interviews collected by our volunteers will appear online starting February 2011. Learn first hand how the Partition changed lives and the cultural landscape in a most dramatic way. Links to the videos will be available in next month's newsletter. Student volunteers at University of California in Berkeley have helped to launch a new course on Partition this spring. The course entails interactive lessons and discussions based on select readings. Students will also be collecting video narratives from local Partition eye witnesses. The 1947 Partition Archive will assist in the latter aspect of the course. Register now! Learn more by visiting the Facebook page or the Decal page. Classes begin Feb 2, 2011. "The raw emotion, the vivid stories, the personal connections are so deeply ingrained within my memory that I don't think I will ever forget this experience. Hearing the survivors' firsthand accounts of the kind of danger, horror, and violence they witnessed is the closest I will ever get to experiencing the partition myself." "It was such an honor to speak on behalf of the project and to create awareness. Some conference attendees even shared stories of their family members during the conference. All the positive feedback and interest for the project was really interesting. All in all, an educational experience for me as I learned more about the partition and look forward to learning even more." "It is a great experience to be a volunteer for this project. While transcribing, visualizing those scenes literally bring tears to your eyes. I felt that though the partition brought pain, hardship and atrocity in its wake, (ironically) it also united people within a community. During its course, it seems to have brought out the best and the worst in people." The Sindhi Voices Project (SVP) is a global, participatory media initiative that is currently focused on gathering life narratives of Sindhi elders. SVP aims to foreground the individual voices of Sindhis from different class, geographic, gender, and religious backgrounds. SVP is excited about working with the1947 Partition Archive to support building a diversified collection. As another year unfolds, memories of Partition float further back in time. Many thousands risk disappearing forever this year, leaving unfilled gaps in the collective memory of our cultural inheritance. Join us as we work to preserve what we can of the remaining stories. During the first months of the Partition Archive effort over 70 witnesses shared their narratives with us. In 2011 we are working hard to increase this number to the thousands and reach those who have not yet shared their experiences. You can help us by spreading the word about this project to those in your community who have witnessed Partition, or by joining hands with us as fellow volunteers. Copyright (C) 2011 The 1947 Partition Archive All rights reserved.